(VOVWORLD) - Dealing with heart diseases and congenital heart defects requires skilled physicians and advanced equipment. 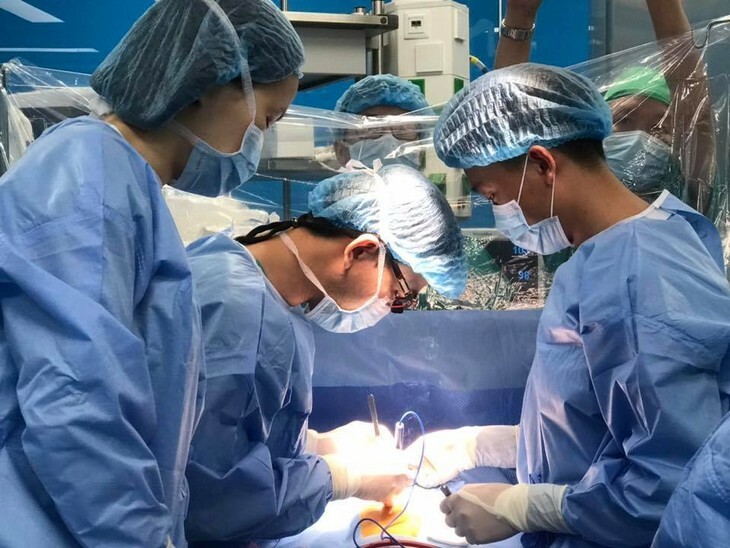 Thanks to the support of the provincial medical sector, doctors at Quang Ninh Obstetrics and Pediatrics Hospital have been able to learn the surgical techniques needed to correct many heart defects. One week after her 10-month-old son’s heart surgery, Tran Thi Tu was feeling relief. Her son, Nguyen Quang Khai, was diagnosed with an enlarged patent ductus arteriosus (PDA), which usually shrinks and closes on its own in the first 2 to 6 days of life. If it stays open longer, it may cause respiratory and cardiovascular symptoms, seriously threatening the baby's health. Tu told VOV that for several days after the operation by Quang Ninh Obstetrics and Pediatrics Hospital, Khai was isolated and under intensive care. “I’m very worried because I know it’s difficult and expensive to cure heart disease. My son was lucky enough to be treated at this hospital. Here everything was done by the doctors and nurses around the clock for 5 days. 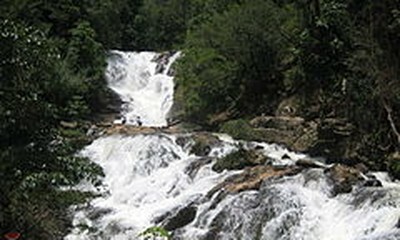 I’m very grateful,” said Tu. 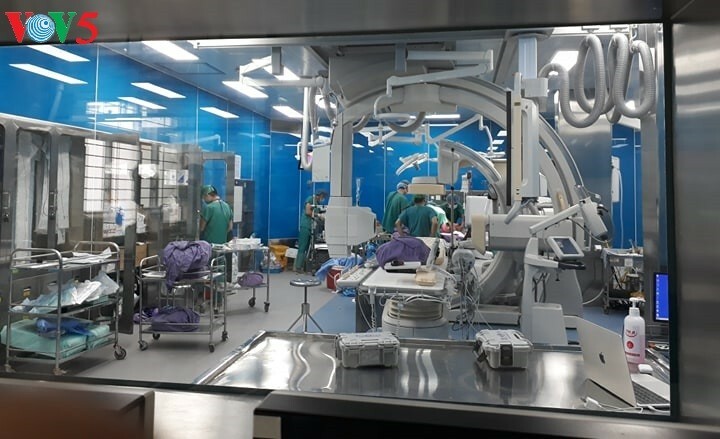 Quang Ninh Obstetrics and Pediatrics Hospital, has invested in digital subtraction angiography (DSA) and a state-of-the-art cardiovascular intervention room in which to perform heart surgeries. This investment was part of Quang Ninh province’s campaign to develop smart hospitals. Doctor Trinh Truong Tuyen, who directs the hospital’s Cardiovascular Center, said they have received a lot of new technology from cardiologists at central hospitals. “Thanks to the Cardiovascular Center, children with congenital heart defects can undergo treatment here and don’t have to be moved to a central hospital. Our advanced equipment and techniques allow us to perform diagnoses and surgeries,” said Tuyen. The investment in a specialized heart treatment facility for children marks an important advance in providing medical care for people, particularly mothers and children, in Quang Ninh province, where 8 of 14 districts are mountain or island areas. Quang Ninh Obstetrics and Pediatrics Hospital is the 8th provincial hospital in Vietnam able to perform PDA heart surgery. Dr. Nguyen Ly Thinh Truong, Director of the Cardiology Center of the National Hospital of Pediatrics, said there are few provincial hospitals capable of performing such operations. “Many hospitals don’t maintain electronic medical records or an image database, making it more difficult to share information. And doctors at central hospitals are overloaded. To deal with the overload, provincial doctors need to improve their skills so they can handle mild to moderate cases. They still must consult with more experienced doctors for severe cases,” Truong noted. Quang Ninh Obstetrics and Pediatrics Hospital has successfully corrected 15 congenital heart defects.